Are you a business owner in the Jacksonville area who needs to get commercial cleaning services? If so, our company can help you out. Our commercial cleaners offer amazing services for commercial cleaning. If you’re a home owner, we can help you with house cleaning services too! Why Choose Our Leading Commercial Cleaners? The commercial cleaning service we offer are something we’re positive you, as a business owner, will be extremely happy with. Our expert cleaners are able to make your business look spotless, which will aid in your professional appearance to your clients. Carpet Cleaning – Carpets get dirtier quicker than you may realize. It just takes a couple spills for the stains to start collecting, making rooms seem dirty. No business wants that! We can help by giving your carpets a complete clean and returning them to their former clean glory. Office Cleaning – We also offer whole office cleaning services. This entails our team going over every nook and cranny of your office space and making it absolutely spotless. We’re even able to get all of the hard-to-reach areas that may have been neglected in the past. 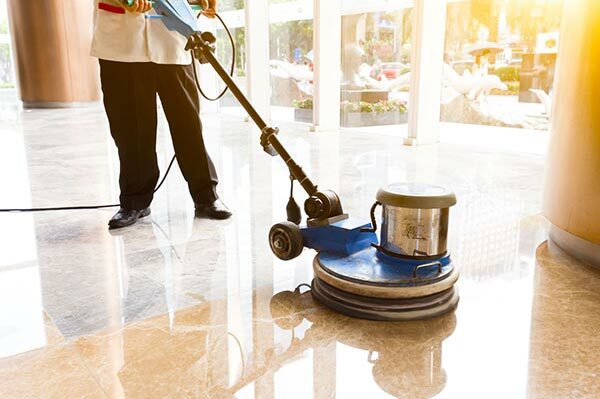 Janitorial Services – If you require frequent janitorial services, Jacksonville Maid Services can help with this as well. Please give us a call so we can find out what exactly your needs are. This way we can devise a plan together to ensure the best possible results. Garbage Collection – Garbage collecting around the office building isn’t good. It can attract unwanted pests and will begin to deteriorate how your business appears. Luckily, this is yet another service we can help you with. We can remove all unwanted garbage from your location – it’s not a problem! If you require another cleaning-related service that isn’t listed above, don’t worry! Chances are we can still help you. You can get in touch by calling the number listed below and talking to one of our Jacksonville commercial cleaning experts. Just tell him/her what you require and they’ll help out however they can. Are You Ready To Get Started With Commercial Cleaning In Jacksonville? We assure you that our commercial cleaning services are top notch and something you’ll be extremely happy with. We can work with you in any way needed to ensure your business gets the best cleaning possible at a time that’s most convenient for you!